This month’s Scientific American has an article on a subject close to my heart, “Your Inner Ecosystem.” Only 10% of the DNA in our bodies is human. In other articles I have advanced the idea that we are walking colonies of microbes, worms and fungi in a human superstructure, where ecological balance is the goal of health rather than purity. That begs the question of which creatures might be pathogenic- I certainly don’t want ebola in my ecology. Not only doesn’t it play well with my other creatures, but it is deadly. Ebola is easy to classify. However some organisms are difficult to classify. Acidophilous is great in your gut, especially if you have difficulty assimilating nutrients but it can eat away at your teeth where you might prefer Streptococcus oralis. There are benign E. coli strains, sold in Europe but not the USA as probiotics, which tend to predominate in thin people while firmiciute bacteria like the Lactobaccili predominate in fat people and can make thin rats fat. Even low level staph infections on the skin may crowd out nasty drug-resistant MRSA. 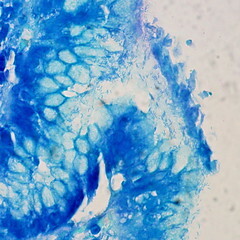 Heliobactor pylori is another example. This bacteria increases acidity in the stomach, resulting in both the environment where it thrives and breakdown of food. However in susceptible individuals, it causes ulcers. When Dr. Martin Blaser, now professor of microbiology and internal medicine at NYU found H. pylori 25 years ago, he approached it as a simple pathogen causing ulcers- and with antibiotic treatment ulcer diagnoses have reduced by more than 50%. But in 1998 he published research showing that in the vast majority of people H. pylori is beneficial, regulating the acidity of the stomach properly. H. pylori was also linked to a reduction in adenocarcinomas. In 2008 he found that H. pylori regulates ghrelin which tells your body to stop eating. When ghrelin levels are high you become hungry. After you eat -unless your H. pylori levels are low- ghrelin levels plummet. In a study of 92 veterans treated with antibiotics to lower H. pylori for ulcers, gained weight in comparison to uninfected peers. Lower H. pylori is also linked to higher diabetes rates. One of the curious things is that two or three generations ago something like 80% of children were hosts to H. pylori. Now fewer than 6% of children have the appetite suppressing bacteria, perhaps because of broader-range antibiotics and the inclusion of antibiotics in meat production which could account for less exposure to seed the microbiota. There is apparently preliminary information suggesting a second mechanism for this where antibiotics silence bacterial signalling for undifferentiated stem cells to make tissue other than fat. The hygiene hypothesis also may affect the acquisition of H. pylori. Water is cleaner. Plant food trucked across the country may contain fewer live bacteria. Increased C-section rates may prevent the transmission of a mother’s microbiota to the infant in the birth canal. We have fewer commensal bacteria now altogether and H. pylori is a stunning example of the reduction of a bacteria that can help keep us thin. However it appears that adding H. pylori may not be helpful once you are fat and possibly the age of acquisition is important. In further experiments people who were obese and diabetic had higher levels of H. pylori. Researchers think lowering H. pylori with antibiotics might help lower A1c levels in diabetics. Is H. pylori exerting a U-shaped influence where too little and too much cause weight gain? We don’t really know. In the human body with all its feedback loops, direct interventions work quite differently than in petri dishes. Still, farmers have known for some time that adding antibiotics and increasing starchy feed is the best way to get animals fat for market. When we do this to ourselves and our children, it should not surprise us if we get the same result. While it is not a likely single cause of obesity and diabetes, its effect may be far from trivial. Chemicals and Obesity: What if if isn’t all your fault? Previous PostIs Vitamin D Supplementation Useless?Next PostDoes it matter if I eat acid-forming foods? Not when you look at the research.